For the 154th anniversary of the battle of Gaines Mill. I thought I would post in a different direction than revisiting the 5th US Cavalry’s charge, the casualties suffered there or the controversy afterwards as to its propriety or effectiveness. In this case the cordial and not so cordial relations and relationships of opponents during the battle. The account below is from former Confederate Captain J.T. Hunter of Company H, 4th Texas, who was a staff officer as a lieutenant in General Whiting’s division for the battle. The Confederate general was the Union major’s first cousin. William Henry Chase Whiting was born in Biloxi, Mississippi and graduated the US Military Academy first in the class of 1845. He served in the Army Corps of Engineers until resigning his commission in February 1861. Gaines Mill was the pinnacle of his career, as he was replaced after the Seven Days Battles by General Hood. He died of dysentery March 10, 1865. Then-captain Charles Jarvis Whiting recovered from his wounds and after some difficulty was individually paroled. He was back in command of the regiment by August 12, 1862. He was promoted into the 2nd Cavalry and commanded that regiment from October 1862 to June 1863, then the Reserve Brigade at the battle of Brandy Station. Afterwards he commanded the draft stations in Portland, Maine from July to November 1863 when he was dismissed for disloyalty and using disrespectful and contemptuous language against the President of the United States. Captain William P. Chambliss was born in Virginia, and his family moved to Tennessee in his youth. He fought as a lieutenant in the Tennessee volunteers during the Mexican War. He served as a member of the Tennessee legislature and practiced law before receiving his appointment in the 2nd U.S. Cavalry in 1855. The regimental history says he was wounded six times at Gaines Mill. Regardless, his health was shattered and he was sent to St. Luke’s Hospital in New York City. When he left the hospital, he served as an assistant instructor of cavalry at West Point from October 1862 to August 1864. 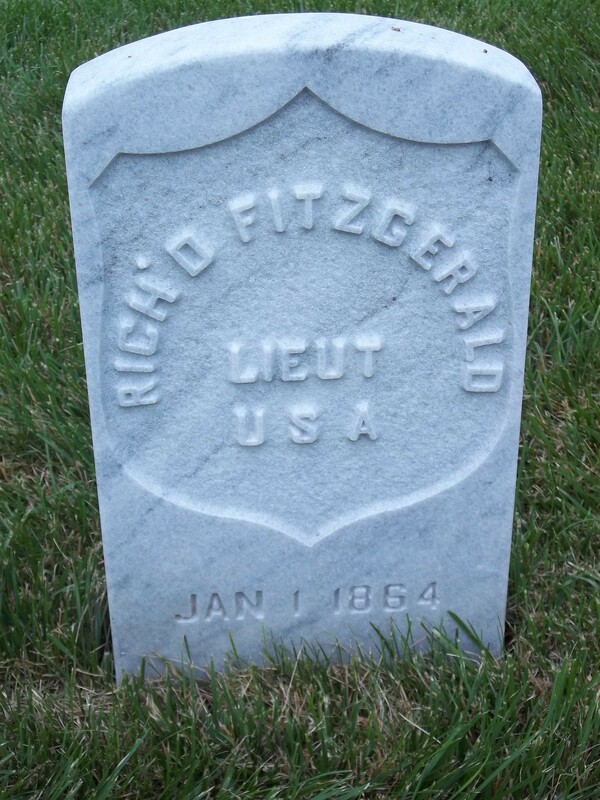 He then served as a special inspector of cavalry in the Military Division of the Mississippi until the end of the war. He was promoted to major in the 4th U.S. Cavalry on March 30, 1864 and after the Civil War served with his regiment until he resigned in November 1867. I could not find any record for Sergeant McAnery or any reasonable permutation of the name in the enlistment records. Cunningham, S.A. ed. Confederate Veteran, Volume XXVI. Nashville: Confederated Southern Memorial Association, 1918. Pgs. 112-113. Price, George F. Across the Continent With the Fifth Cavalry. New York: D. Van Nostrand,Publisher, 1883. Pages 331-334 and 351-352.